Power users of Twitter may soon be able to get even more out of the Twitter power user version of their social media site, Tweetdeck. 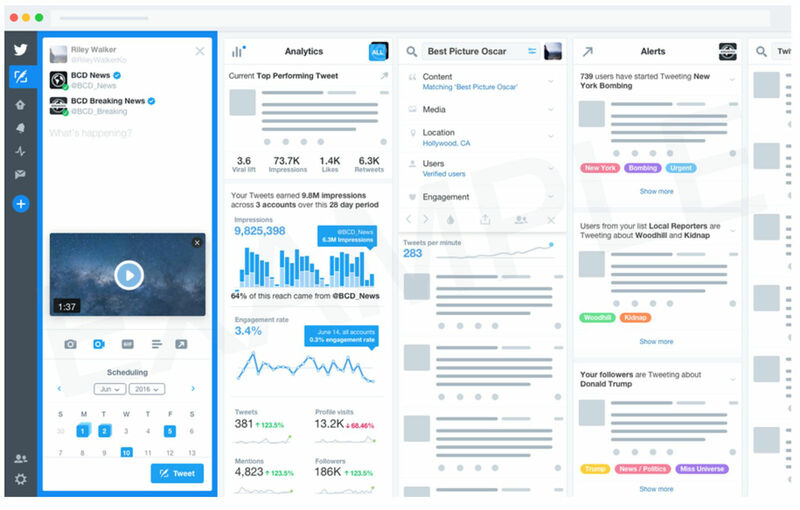 The new Tweetdeck offering could offer services including in depth user analytics such as the ability to see what your followers are also tweeting, enhanced posting options and better trending and alert updates. This comes at a time when Twitter has been losing advertising dollars as businesses move away from Twitter and migrate towards other social media platforms that provide extensive consumer data. “Twitter is considering offering an advanced TweetDeck experience, with more powerful tools to help marketers, journalists, professionals, and others in our community find out what is happening in the world quicker, to gain more insights, and see the broadest range of what people are saying on Twitter. This premium tool set will provide valuable viewing, posting, and signalling tools like alerts, trends and activity analysis, advanced analytics, and composing and posting tools all in one customizable dashboard. It will be designed to make it easier than ever to keep up with multiple interests, grow your audience, and see even more great content and information in real-time. As businesses become more reliant on data driven decision-making, the platforms with the most amount of data allow the greatest chances of winning marketing investment dollars from businesses and brands. If Twitter can introduce its enhanced much needed subscription Tweetdeck service at a price point businesses are willing to pay (rumours of $19.99/month have surfaced) they might just win back some lost advertising dollars. It’s great to see Twitter make a move in the data direction, but the question that only time will tell is, is it too late?